All attendees are expected to show respect and courtesy to other attendees throughout events, meetups or training sessions. To make clear what is expected, all delegates/attendees, speakers, exhibitors, organisers and volunteers at any Digital Exeter event are all required to conform to this following Code of Conduct. If you notice any troubling behaviour or spot a breach of the code of conduct, please let an organiser know as soon as it is possible to do so. 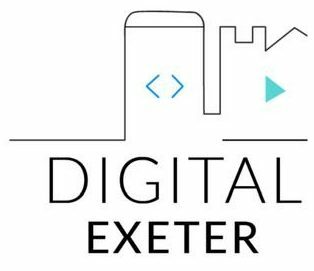 Digital Exeter is dedicated to providing a harassment-free experience for everyone, regardless of gender, sexual orientation, disability, physical appearance, body size, race, or religion. We do not tolerate harassment of our members or the general public in any form. All communication should be appropriate for a professional audience including people of many different backgrounds. Sexual language and imagery is not appropriate for any event, including our meetup talks. Be kind to others. Do not insult or put down other attendees. Behave professionally. Remember that harassment and sexist, racist, or exclusionary jokes are not appropriate. Attendees violating these rules may be asked to leave the event without a refund at the sole discretion of the conference organisers. Offensive verbal comments related to gender, sexual orientation, disability, physical appearance, body size, race, religion, sexual images in public spaces, deliberate intimidation, stalking, following, harassing photography or recording, sustained disruption of talks or other events, inappropriate physical contact, and unwelcome sexual attention. Participants asked to stop any harassing behaviour are expected to comply immediately. Exhibitors in the expo hall, sponsor or vendor booths, or similar activities are also subject to the anti-harassment policy. In particular, exhibitors should not use sexualised images, activities, or other material. Booth staff (including volunteers) should not use sexualised clothing/uniforms/costumes, or otherwise create a sexualised environment. Be careful in the words that you choose. Remember that sexist, racist, and other exclusionary jokes can be offensive to those around you. Excessive swearing and offensive jokes are not appropriate for Digital Exeter . This code of conduct is based on the PHP UK Conference code of conduct.